Join Miami Children's Hospital Foundation at the 2011 Diamond Ball this weekend, where Gloria Estefan will be inducted into the Ambassador David M. Walters International Pediatric Hall of Fame. The gala will be held at JW Marriott Marquis Miami in Downtown Miami on Saturday, Oct. 29 and will be an elegant Masquerade Affair. 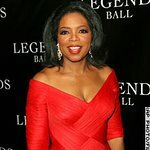 The Estefans will join a select group of notable philanthropists who have been honored in the past, including Barbara and Jack Nicklaus, Dwyane Wade, Beyoncé Knowles, Walt Disney and Audrey Hepburn, among others. 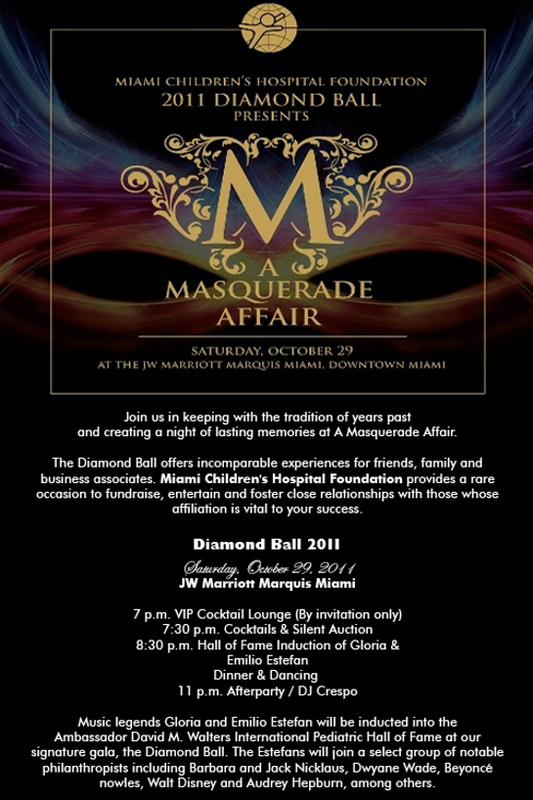 To learn more about supporting the 2011 Diamond Ball, contact Morgana Rolle at mrolle@mchf.org or 786.624.2038. See the flyer below for more information.